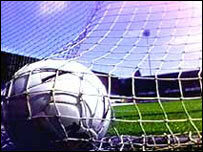 A new 16,000-seater stadium could be built in Truro as a new home for the city's football club. Truro City FC says the proposal could provide a venue for both football and rugby matches, as well as large scale entertainment and community events. The new £16m stadium would be the biggest in the county. The club says it would welcome running the stadium as a shared ground and discussions have already taken place with Penzance Pirates Rugby Club. The Pirates announced two months ago announced they would be moving to a purpose-built stadium at a site yet to be decided. The owner of Truro City Football Club, Kevin Heaney, has brought together a team to look at ways of redeveloping the club with the aim of establishing a centre of sporting excellence for Cornwall. In addition, the club is submitting plans to increase its car parking facility to about 750 spaces. It will also provide a park-and-ride facility for Truro.